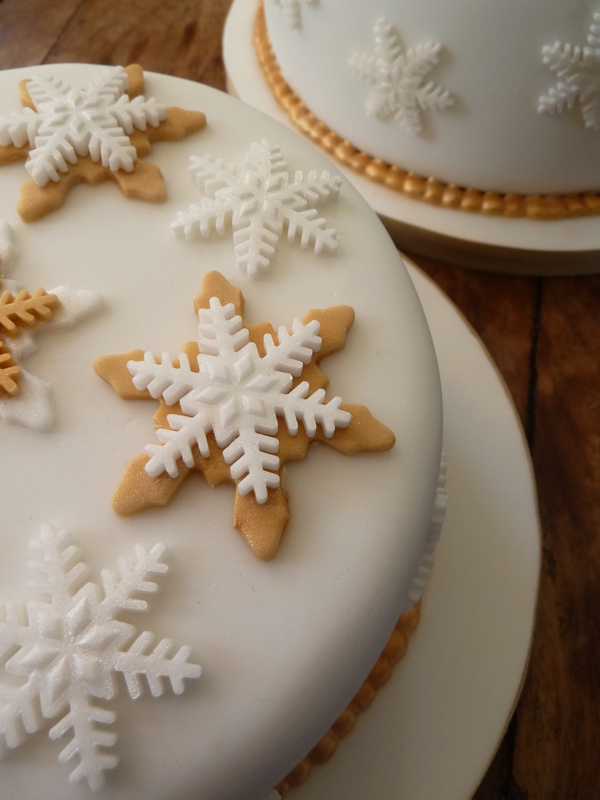 Concealed inside is a rich carrot sponge, with cinnamon and nutmeg, heaps of orange and lemon zest and a helping of preserved mixed peel (the type that normally makes it into xmas puds). Cake-decorating gurus stress the importance of a strong, firm cake that can hold the weight of plentiful decorations, so the basic sponge is adapted from a Mich Turner recipe (from this book). Once baked, I skewered the sponge and drowned it in Mich’s sugary citrus syrup, then sandwiched it with orange buttercream. 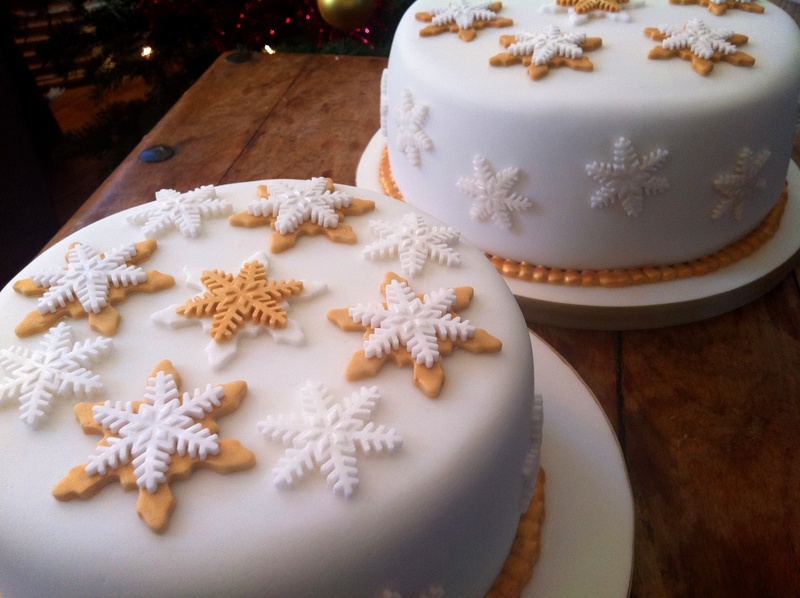 I’m not such a fan of marzipan, so I gave both cakes an undercoat of the same orange buttercream, before their topcoat of white sugarpaste. 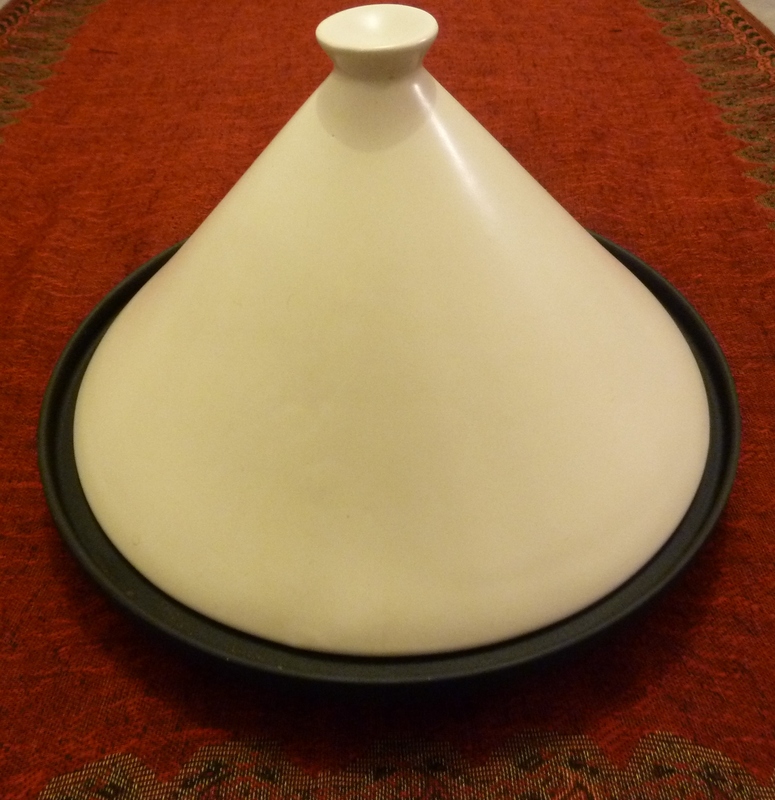 I was given this tagine dish for my birthday this year. My boyfriend got it so right. It sits proudly on our kitchen shelf, all sleek and beautiful and modern. It’s quite different to traditional Moroccan tagines, which are made of terracotta and can be intricately painted (I’d love one of those someday too, but I’m holding out for an authentic one from Marrakech), but what makes mine brilliant is that you can use it on the hob and in the oven – very convenient, as it means you can fry the onions and spices on the stove, brown the meat, then bung it all straight into the oven for its long, slow cooking. 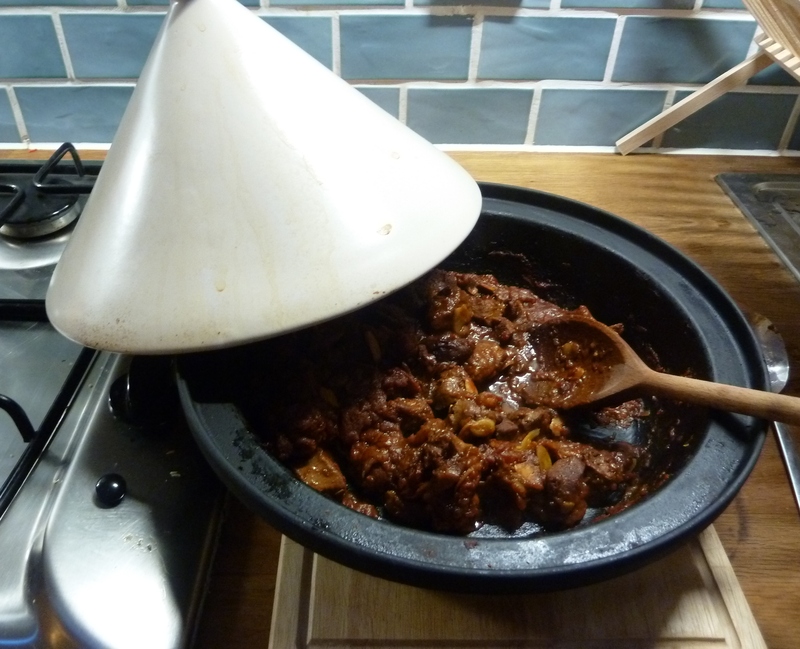 Lamb tagine is possibly my all-time favourite dish, when it’s done how I like it. I don’t have time for watery ones. It must be thick and textured; oozing with onions; sweet and gooey; fragrant but not too spicy. It must include sticky dates, must be scattered with flaked almonds, must have fresh coriander on top and cool yogurt on the side. The couscous, ideally, is lemony, and on the grainy side rather than soggy or wet. It’s my ‘turn-to’ recipe when we have people for dinner, and a satisfying feast on a Sunday. I’d always choose it over a roast. On a Friday afternoon baking whim, I figured I’d get some lazy weekend breakfasts ready and waiting. 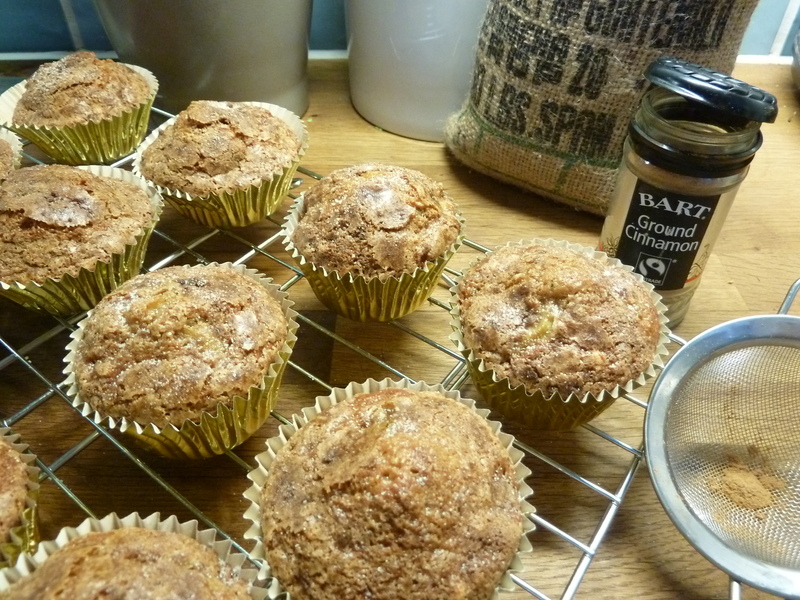 These began as a Rachel Allen recipe for rhubarb muffins (from her Home Cooking book), but I was rhubarb-less, couldn’t be bothered to pop to the shops and it’s not in season anyway. My eyes landed on the one measly, just-about-to-go-soft apple in my fruit bowl. Hmmm…. I also swapped the type of sugar, whacked in some nuts, replaced the buttermilk with bog-standard semi-skimmed, and went a bit mental with the cinnamon. They’ve emerged from the oven glorious, golden and autumnal! 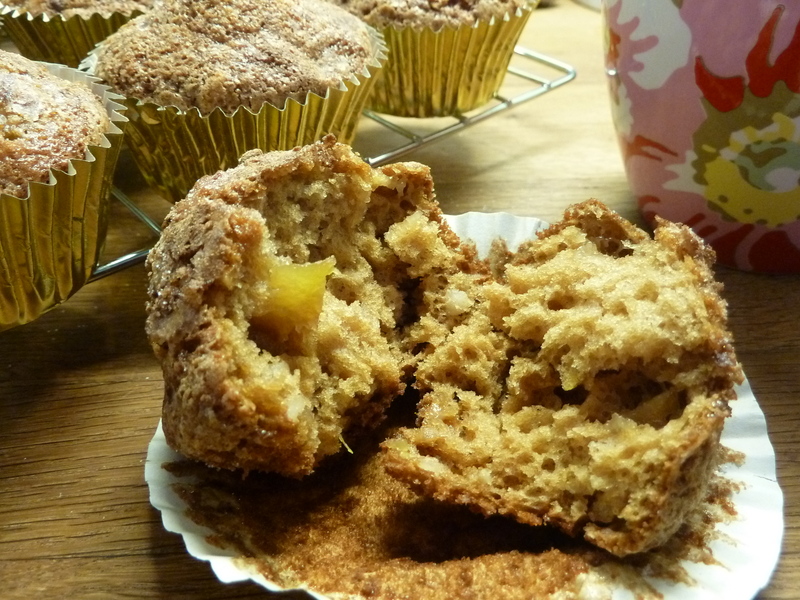 I’m very pleased with their open texture, the moistness of the apple and the subtle caramel sweetness from the muscovado. A few improvements could be made (see end of recipe) but I won’t be dwelling on those when I tuck into these on the morrow. Cake-addict, cookbook editor and would-be writer documenting the trail of crumbs.